Apelon creates semantic frameworks and offers interoperability guidance to national and regional government agencies in the US and around the world. Some of the most important and cutting-edge work in health data sharing and standards adoption has come from government initiatives in the US and elsewhere. Governments have been able to make the case for interoperability more easily than many private entities, since the responsibility for improved health outcomes ultimately falls to the public sector. Implementing a semantic framework based on standard terminology and message standards can improve care and reduce waste, making the most of every taxpayer dollar, peso or pound. In the US, we've worked for Federal Agencies including the Department of Veterans Affairs, National Library of Medicine, National Cancer Institute, the NIH Clinical Center, the Centers for Disease Control and Prevention, and many others. Outside the US, we've been active in Canada, Australia, Hong Kong, Rwanda, the Philippines and more. Download our GSA Schedule to seee how easy it is for US Government agencies to do business with Apelon. Contact us to learn more about how we can help your agency leverage the power of structured vocabulary at the local, regional or national level. As technology continues to evolve and more and more organizations are adopting updated architecture, Apelon continues to place efforts into the evolution of DTS so that we can support your preferred environment configurations. 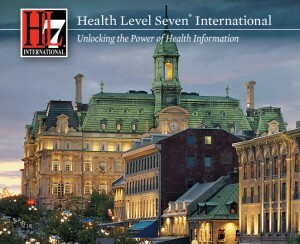 The Apelon team will be attending the HL7 May 2016 Working Group Meeting in Montreal. We will be participating in the FHIR Connectathon May 7 and 8, and then attending sessions on vocabulary, information modeling, clinical quality measurement, and of course FHIR. We look forward to seeing you there. HIMSS 2016 is upon us, February 29 to March 4, in fabulous Las Vegas! We hope you'll stop by the Apelon booth (#2265) and say hello. We'll be showing off the new DTS version 4.4, which features a completely integrated HL7(r) FHIR(r) toolkit, enhanced value set tools for quality measure and clinical decision support developers, the new Content Download Portal app, and performance enhancements throughout the application. If you haven't seen DTS in a while, you'll be amazed at the latest features. Interested in finding out more about how Apelon can tailor our solutions for your needs? Please send us your contact information and we'll be in touch. Please let us know about your current workflow and how you are trying to improve it. Yes No Please let us know whether or not you would like us to add you to our newsletter list.